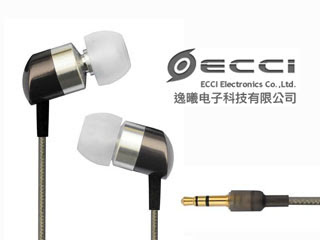 The company that brought us the Cyclone IEM and Storm amp now operates under a new brand name called 'ECCI'. Today, they will be releasing 2 new IEM, PR100 and PR200, in China under the new brand. Hopefully I will review them both in a couple of weeks. Also with the launching of new IEM is the announcement of PR1 Pro discontinuance, which is one of their more popular IEM in forum like Head-fi. I was told ECCI is now looking for oversea dealer and distributor. If you are interested, try to get in touch with them.